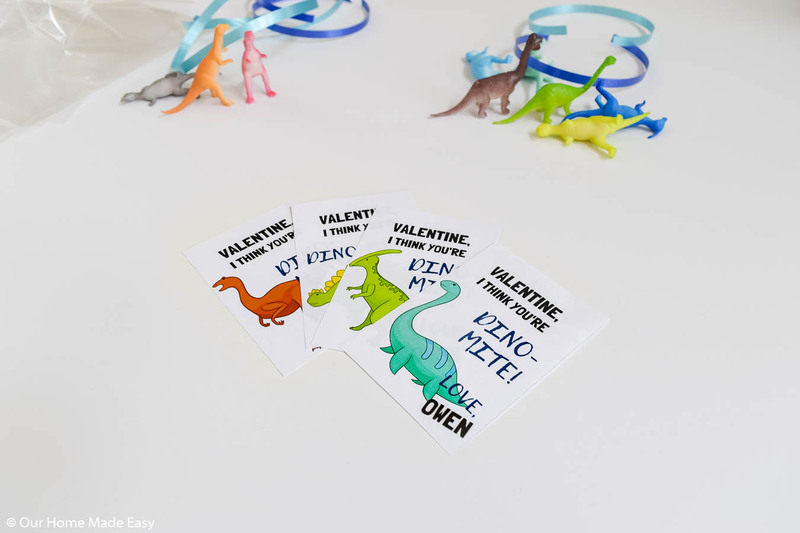 DIY Dinosaur Valentines Cards with this free printable! 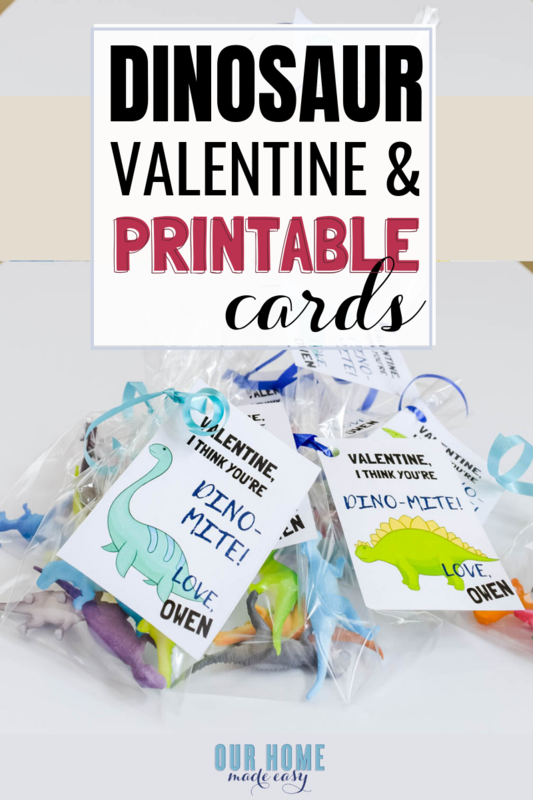 Download it and make your own fun valentines for school for kids! 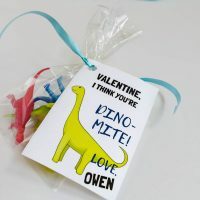 Who doesn’t love adorable Valentine’s cards for little ones? 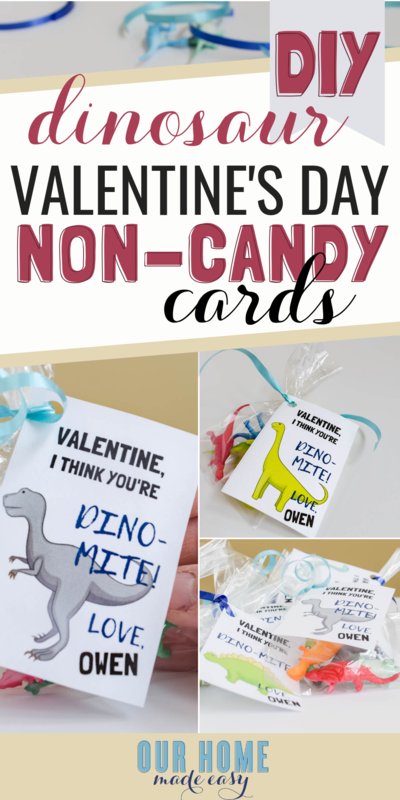 I’m a total fan for sharing a fun craft— no sugar necessary! Owen loves anything related to trains, dinosaurs, and mac & cheese. 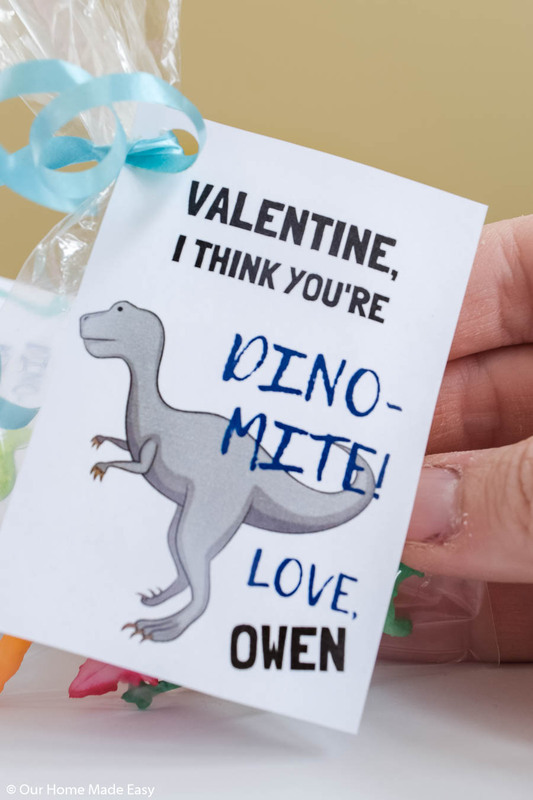 Since I couldn’t send in the little guy with some homemade mac for Valentine’s Day (pretty confident that would’ve been his request), we went for a fun dinosaur-themed Valentine’s Day card to give to all his school friends. 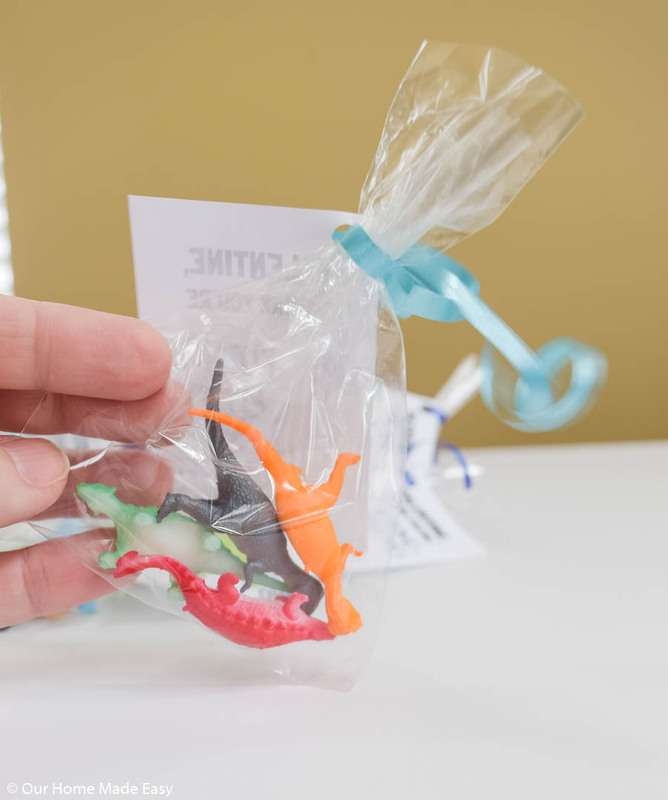 I found this pack of mini dinosaurs and treat bags online. 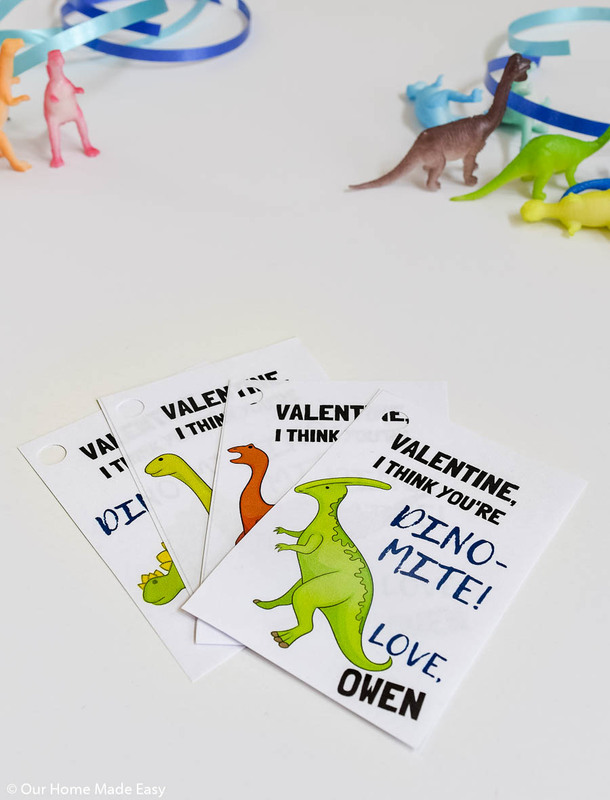 Then I printed up a quick little dinosaur printable to tie around the bags. 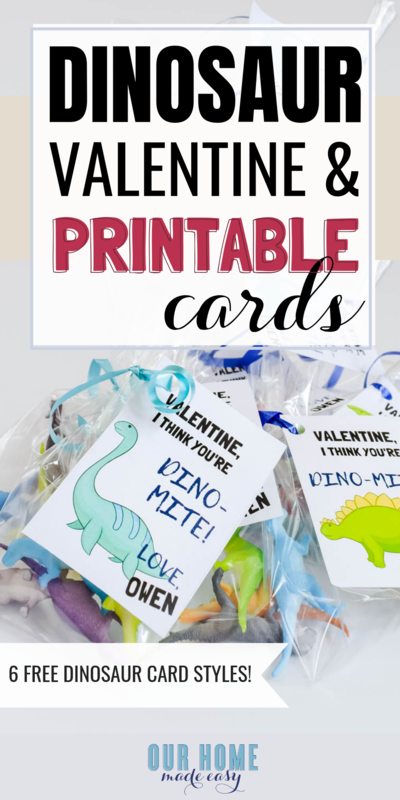 First, you will want to download the Dinosaur Card file from the printables library. I’ll send you all the details in the form at the bottom of this post. 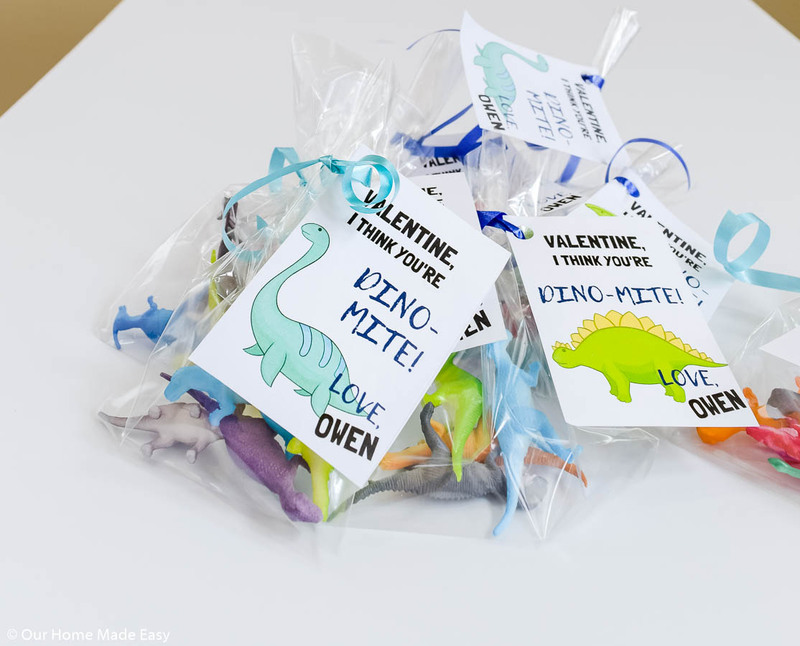 In the meantime, gather your mini dinosaurs and treat bags. 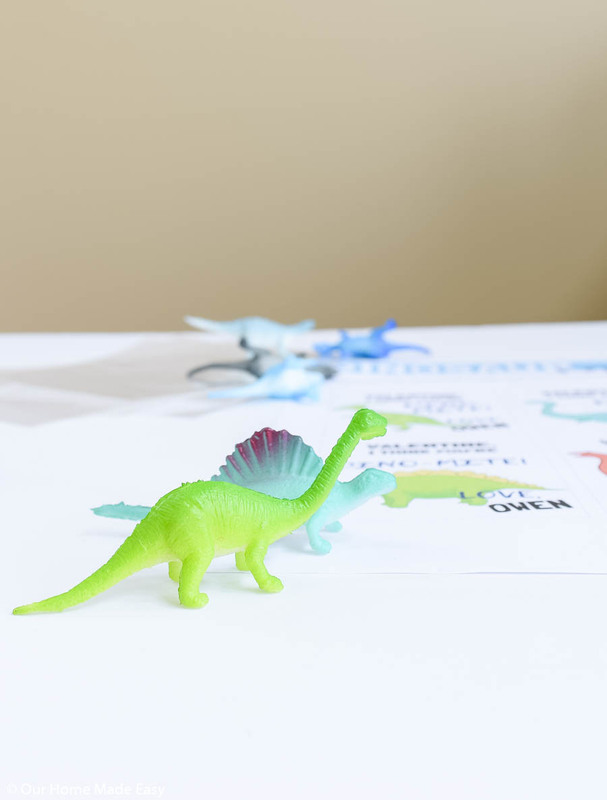 I used these dinosaurs, but really, you could use any size. 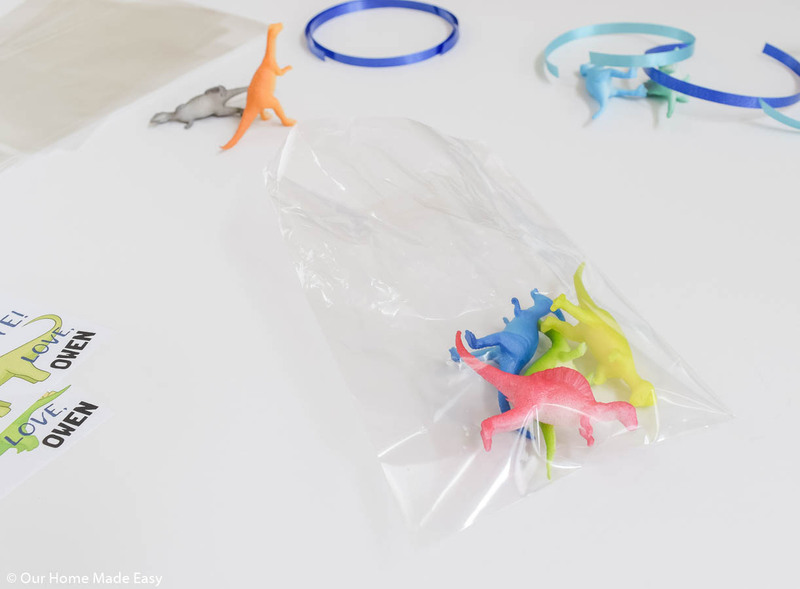 I tossed in 4 dinos per preschooler and it worked out perfectly. Once you have the file, print it off on either regular printer paper or cardstock. With a quick hole punch, the cards were ready to go! The treat bags came with silver twisty ties, but I found some leftover ribbon and used it up. I was pretty jazzed to bring out the ribbon curling with the scissor skills I’d long forgotten about. Boom– instant crafty project for Owen and it took about 30 minutes from printing, cutting, assembling, and curling. Not too bad and Owen is thrilled to share his some of his favorite things with his friends! 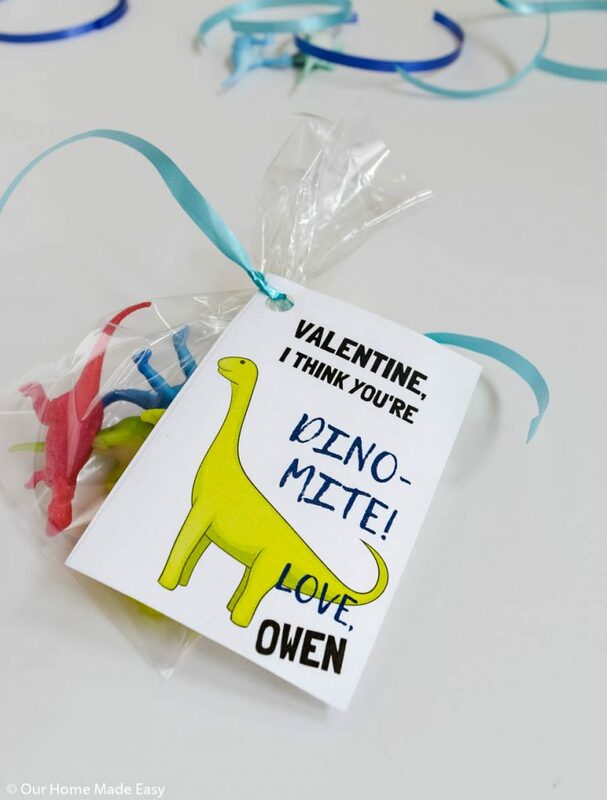 If you don't have ribbon, you could always fold over the treat bag and staple the card onto the top! 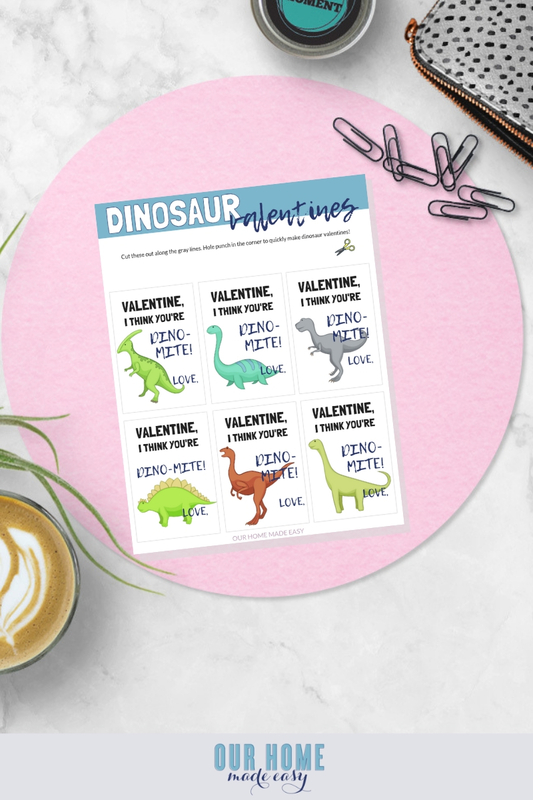 Don’t forget to get your FREE dinosaur Valentine’s Day card below!